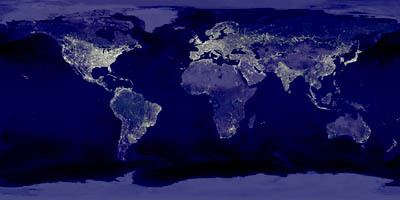 Tonight at 8:00 pm is Earth Hour 2008, brainchild of Australia’s World Wildlife Fund. The idea is to turn off all your lights between the hours of 8 and 9 pm your local time. People all over the world are taking part, and even cities are shutting down lights around their landmarks and government buildings. Let’s get ready to do some looting!!! Ha! Ha! Kidding. Kidding. I’ve signed up to take part as a symbolic gesture. The astronomer in me romanticizes the idea of a massive intentional blackout rolling across our planet’s time zones. Light pollution is a serious problem, but there won’t be enough participation in Elizabeth City to bring the stars back, and the event takes place too early for truly dark skies. Maybe I’ll spend the hour reading a book by LED light, or is that cheating? How about if I read that book by the light of my cell phone. Technically that’s not a light, but the battery was charged before and after the Earth Hour, so I’m using the same electricity. I own an oil lamp. That’s not an electric light, but isn’t that a much less efficient use of energy? I wish the WWF was a little bit clearer about this. The spirit of the event is obviously to save electricity, but people like me sit in front of our computers in the dark anyway. If I turn off my computer, then I’m just sitting in the dark, when I could be blogging about LEDs, Solar Panels, Wind Energy, and all the other innovations that will really get us out of this mess. Sitting in the dark like stone age humans isn’t the best strategy for working our way through Global Warming, innovation is. We need to innovate our way out of this problem, overcome the oil-industry tax breaks and corporate special interests that are preventing us from evolving technologically so they can keep us reliant on their antiquated patents. I’ll turn off my lights for the hour tonight, but I have a sinking feeling that this plays into skeptics’ arguments that environmentalism wants to deprive us of all our modern innovations, when the reality is that we would prefer technology to evolve onto better things.